As much as I am excited and ready for our summer break to start, I am already dreading the sound of three little words: “Mom, I’m bored!” Despite having lots of options and plans for “entertainment” this summer, I know it’s only a matter of time (maybe even hours into Day 1?) before I start being hounded for ideas of something to do. 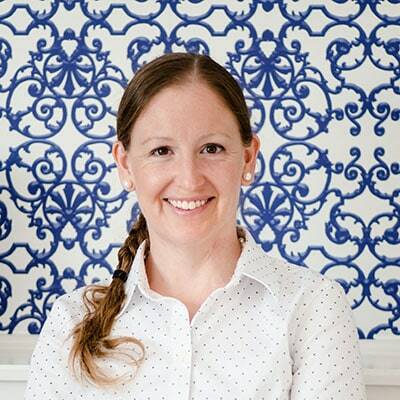 This year, I thought it would be fun (and sanity saving!) 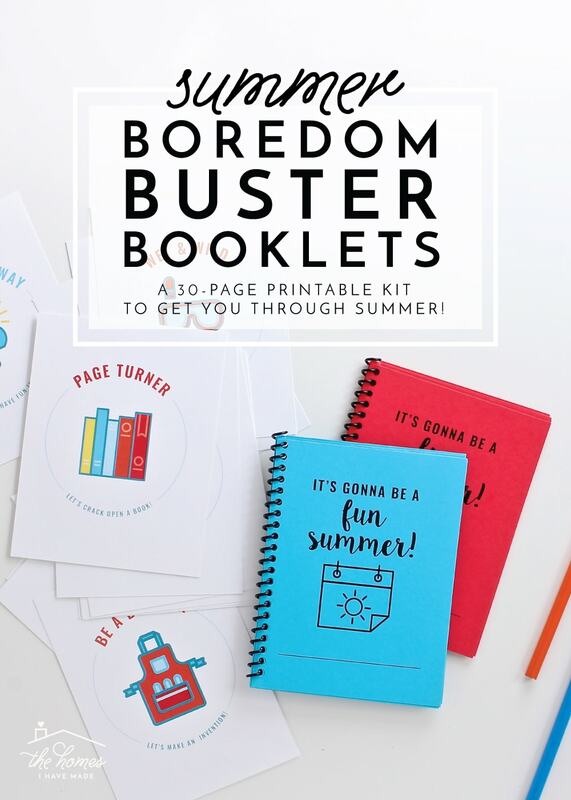 to take a more proactive approach to staving off summer boredom by creating a cute collection of printable activity cards, bucket lists, and planners. 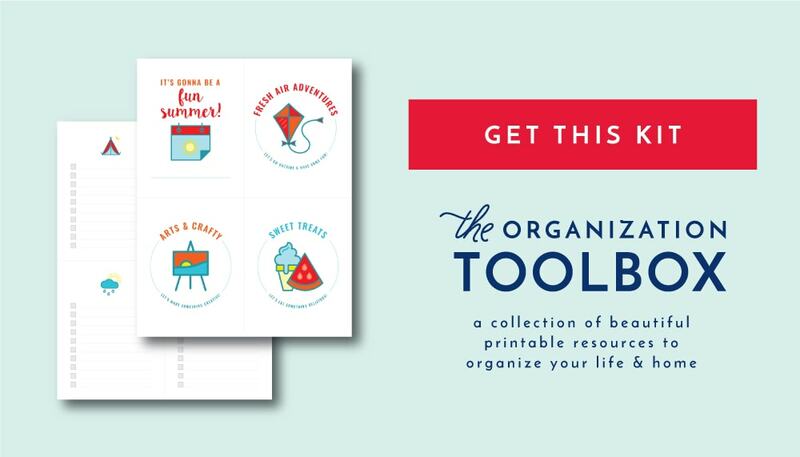 The result is 30+ pages of adorable tools to help you get through summer and enable your kids to have a ton of fun on their own. 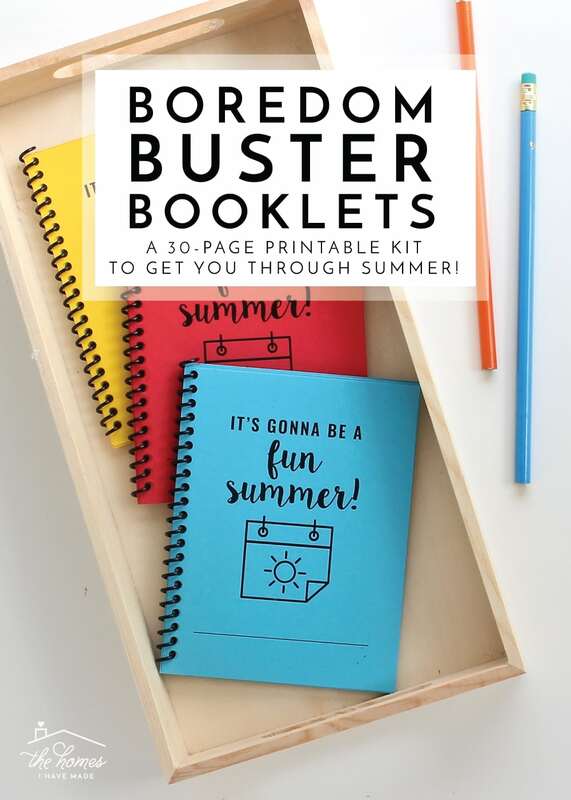 Let me show you this month’s latest addition to The Organization Toolbox: the Summer Boredom Buster Printable Kit! This kit was a lot of fun to put together and might just be one of my favorites so far (I seem to say that every month!). 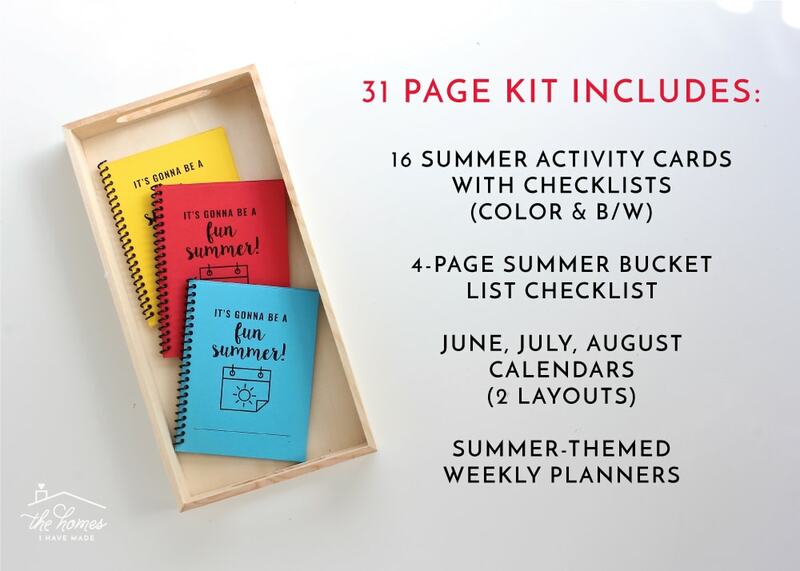 Not only are there so many fun, mix-and-match ways to use the included printable Activity Cards, but the coordinating calendars, planners and checklist pages are sure to help you plan and organize your summer activities, trips, and schedules with ease. 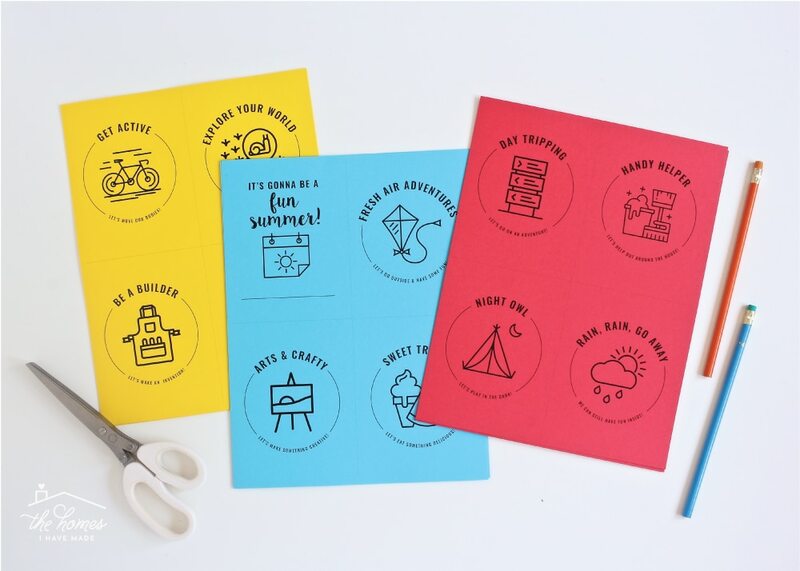 The activity cards are designed to be printed 4 to a page (as shown below), and are all done in a bright and fresh summer palette! On the front of each card is the category “title,” as well as a cute icon graphic. For every activity category, there is a corresponding checklist so you can write or type in your ideas for each category! 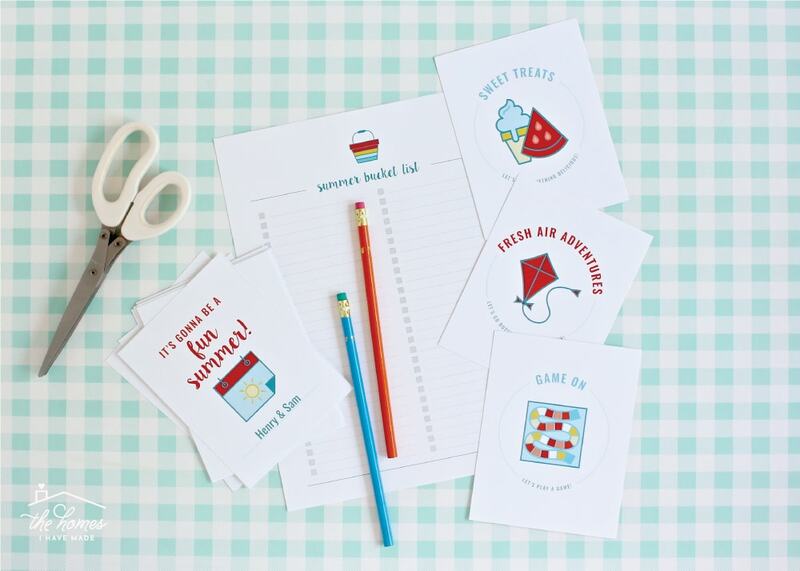 By printing the pages double-sided and then cutting the cards into quarters (using the included guides), you’ll be left with a set of cute and handy Summer Activity Cards with coordinating idea lists on the back of each one! When your kiddo(s) complain of being bored, simply hand them the stack of cards and let them pick out something that sounds fun to them! 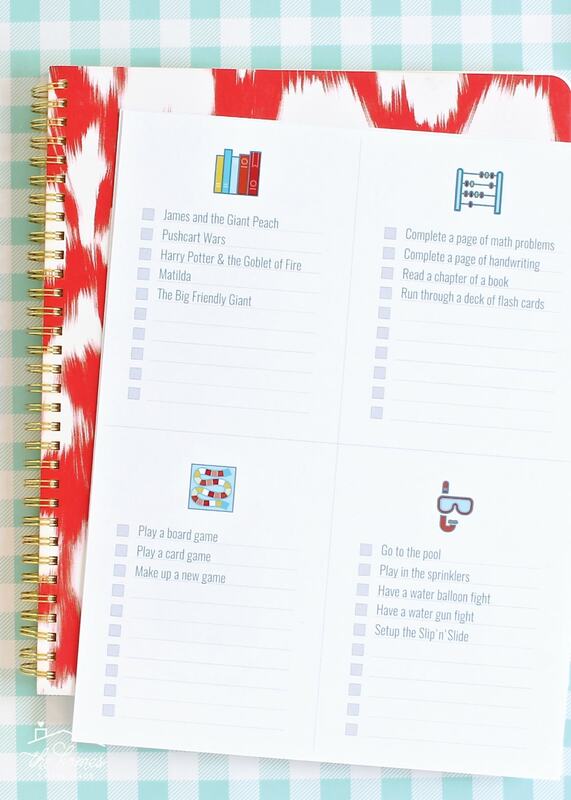 Whether you use these checklists as a Summer Bucket List (activities you and your kids really want to do this summer) or just as a running list of ideas to use when the “I’m Bored” times hit, the cards are a fun, cute and clever way to keep kids busy all summer long! I wanted to make this kit as fun, useful and versatile for your family’s needs, so I did something a bit different this time around. In addition to the full color pages (shown above), I also made the Summer Activity Cards in black-and-white. 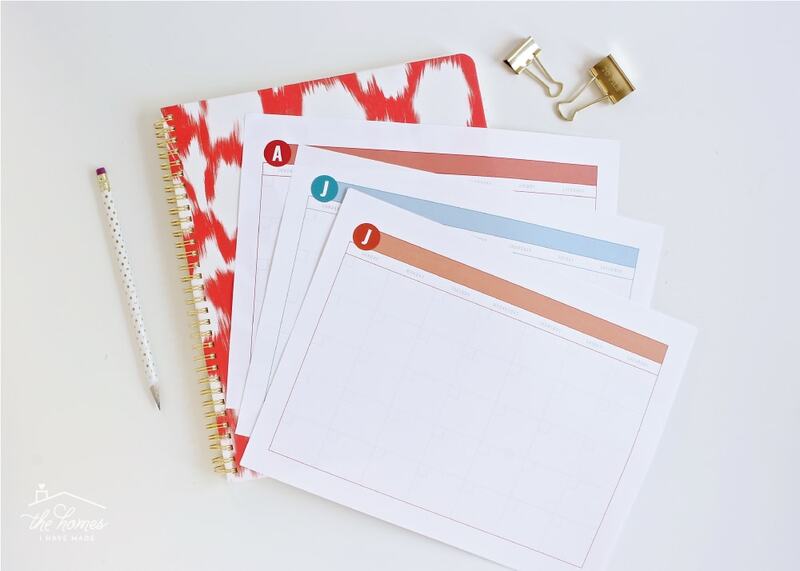 Not only does this help you save on printer ink if desired, but it also allows you to customize them to your liking a bit more by using different color paper. 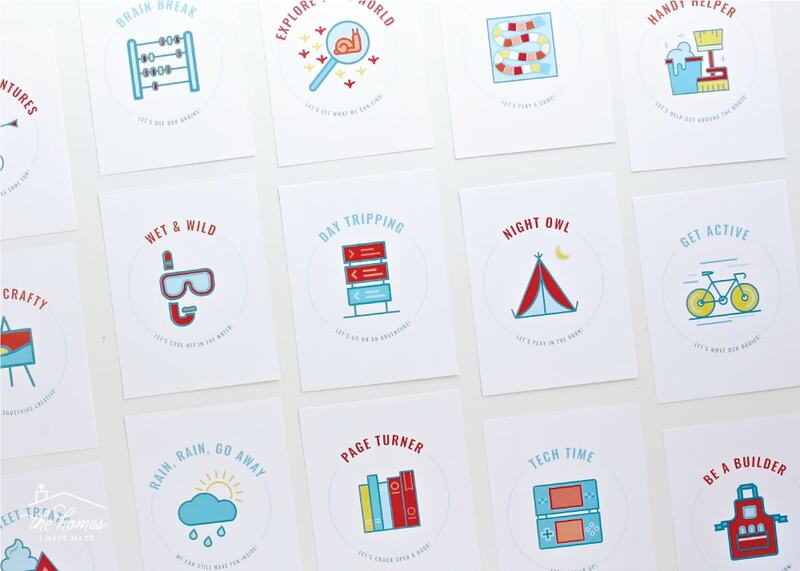 My favorite idea is to print the cards on different color papers for each child in your family. 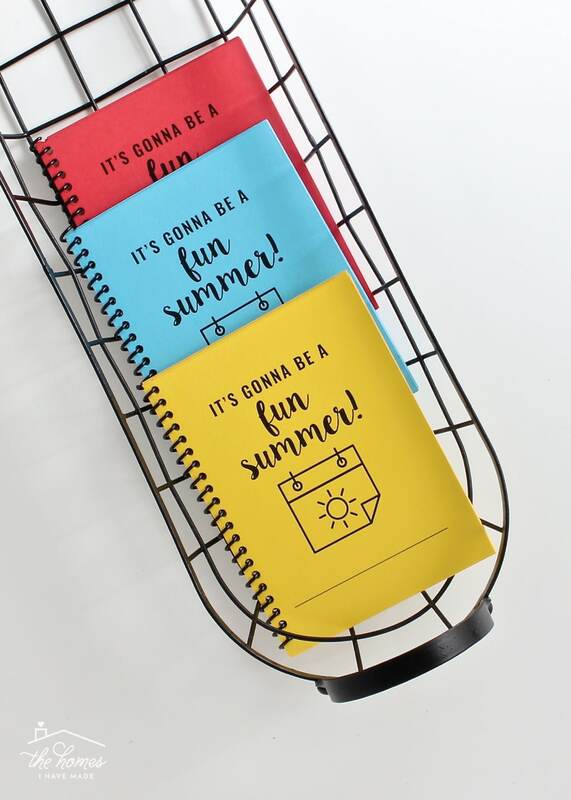 Keep them in a basket or bind them into little books so that each kiddo has their own personal set of summer activities to work on all summer long! 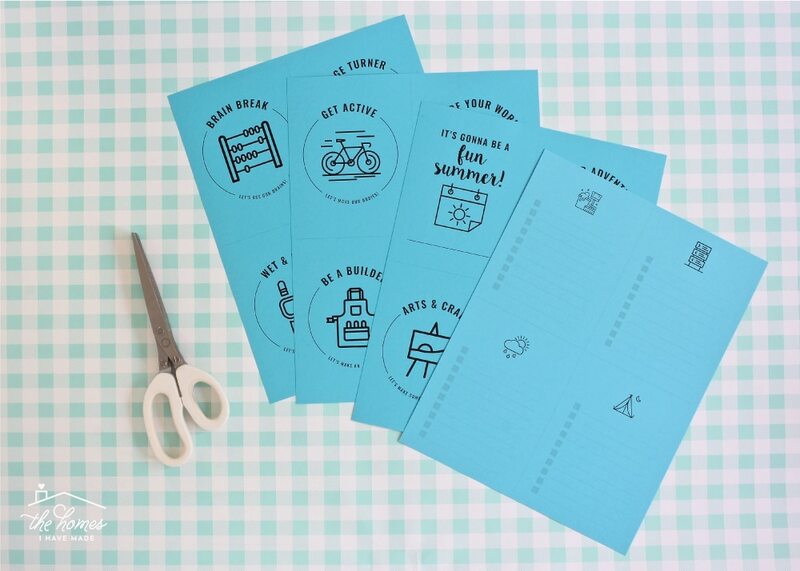 Turning the Summer Activity Cards into little booklets couldn’t be easier. 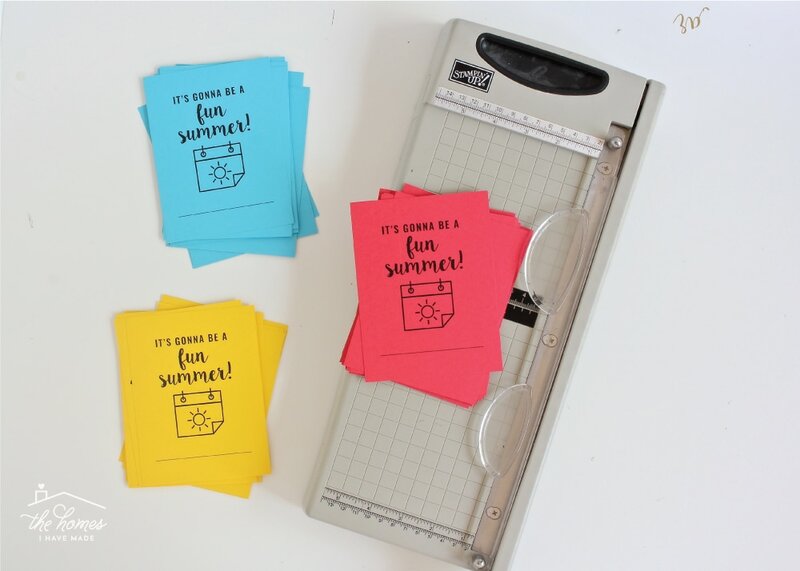 Start by printing the 8 pages of Summer Activity Cards (4 sheets of picture covers and 4 sheets of corresponding checklists) double-sided onto colored cardstock. TIP! 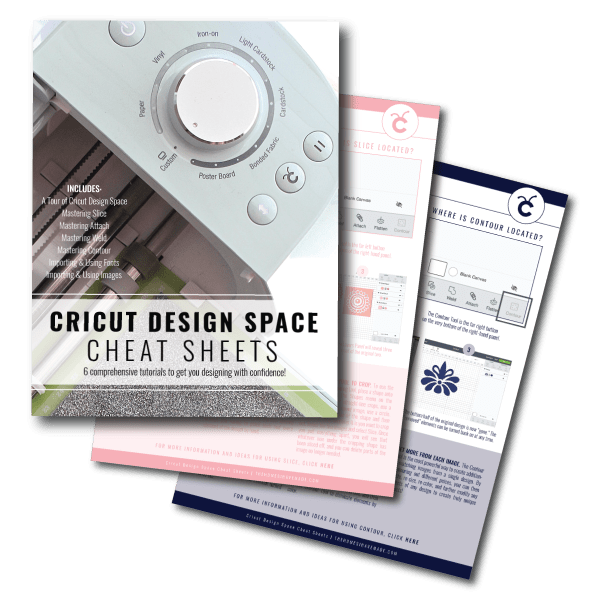 If you don’t want to stock up on tons of colored paper for this project, consider using a local print shop. I had these printed at our local FedEx. Not only could I pick from a fairly wide selection of colors, but the black-and-white printing cost me about $1.75 per booklet! Next, use a scissors or paper trimmer to cut down the cards; there are grey cut lines to help you. You can easily just staple along the “spine” of each booklet or in the upper corner or along the top. I used this machine and these coils to turn them into mini Summer Activity Books. There are lots of different ways to fill these books with ideas. You could make these books and type/write in a bunch of fun, new ideas you think your kids will enjoy. 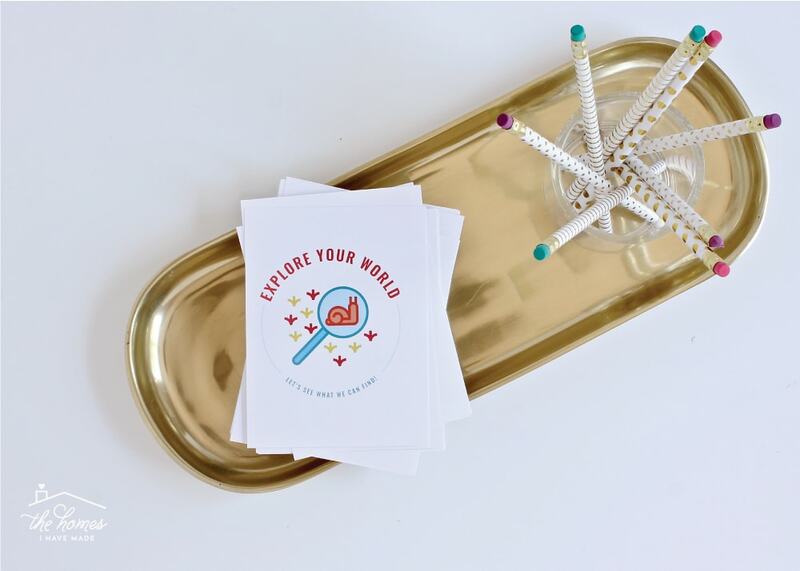 When you offer the booklets to the kids, the ideas will seem new, fun, fresh and exciting. 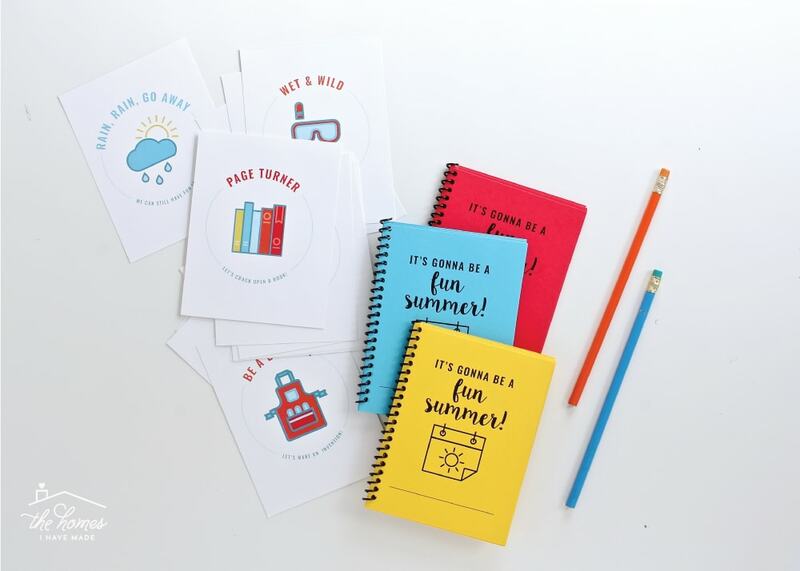 Another option is to make these books together with your kids as one of your first summer projects. 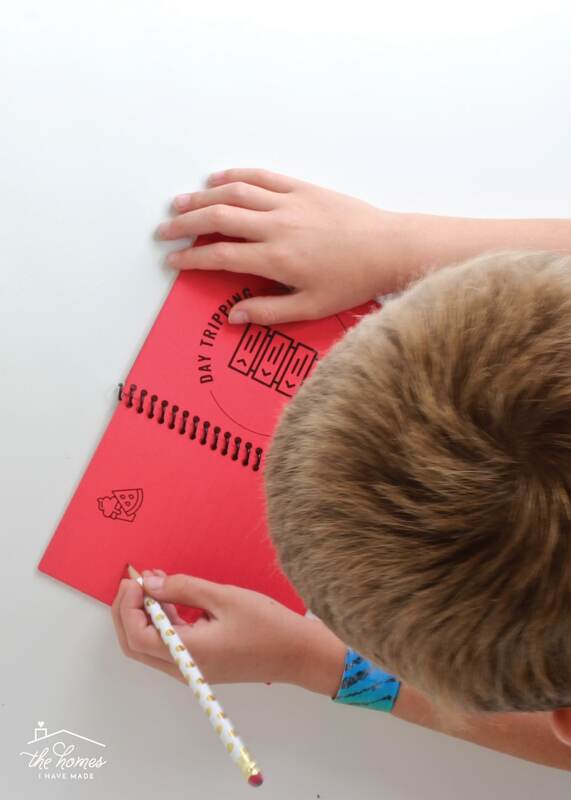 Each child can print, cut, and color in their own booklets (print the black-and-white version on white paper to make coloring pages!). 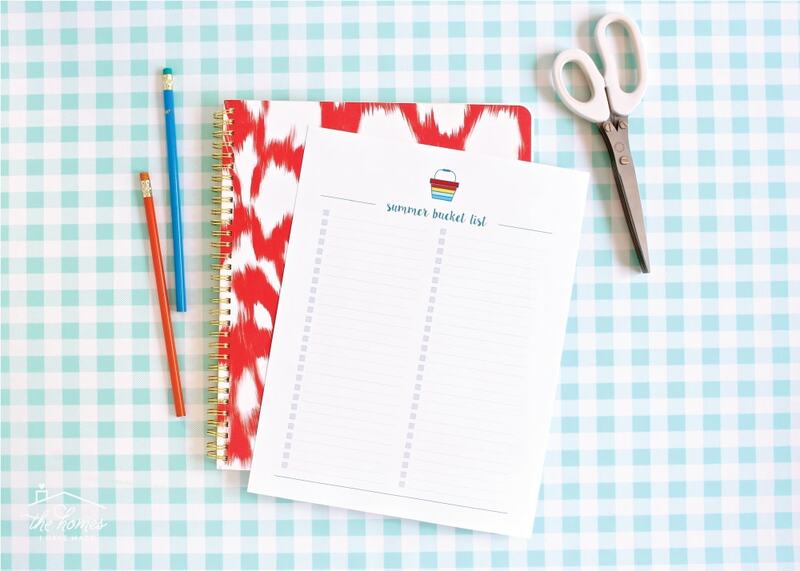 Then have your child fill out their own booklets with whatever they want to do this summer! 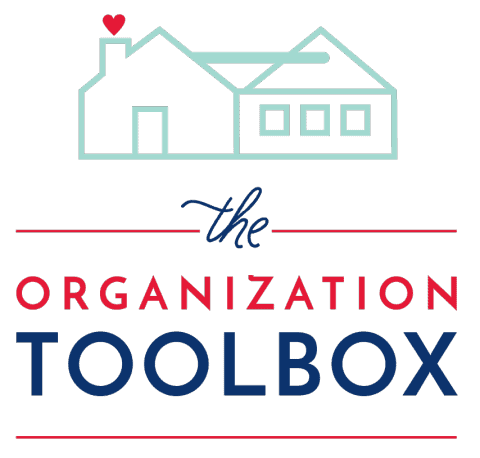 You can use all the summer activity categories included or just a few. 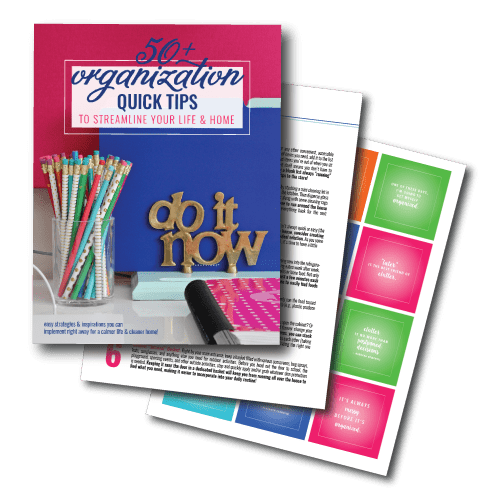 You can use them as bucket lists (to be checked off) or casual idea lists. 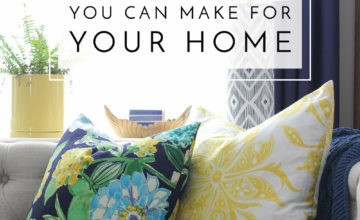 You can make one for the family or one for each person. 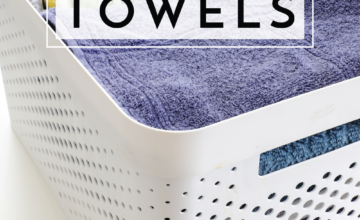 You can keep them in a basket on the counter or make them into booklets! 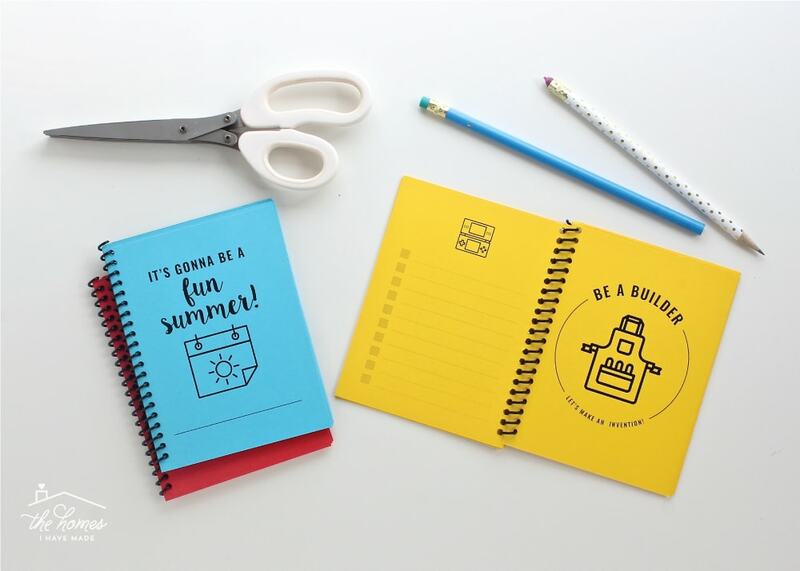 There are so many fun options with these pages, I can’t wait to see what you all do with them! 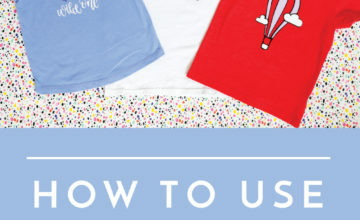 I’ve also included “Places to Go,” “Books to Read,” and “Things to Do” in the same format. 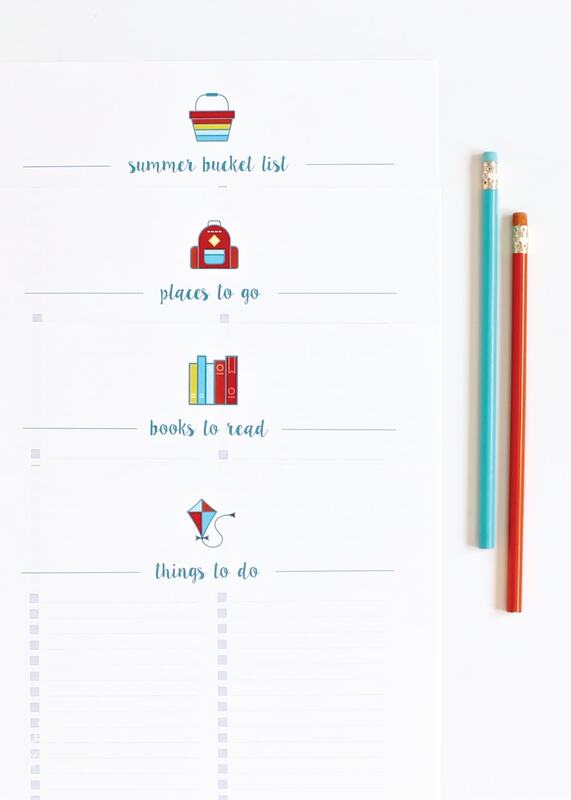 Tuck one into your planner or journal or tape them to the fridge to keep track of your summer plans! 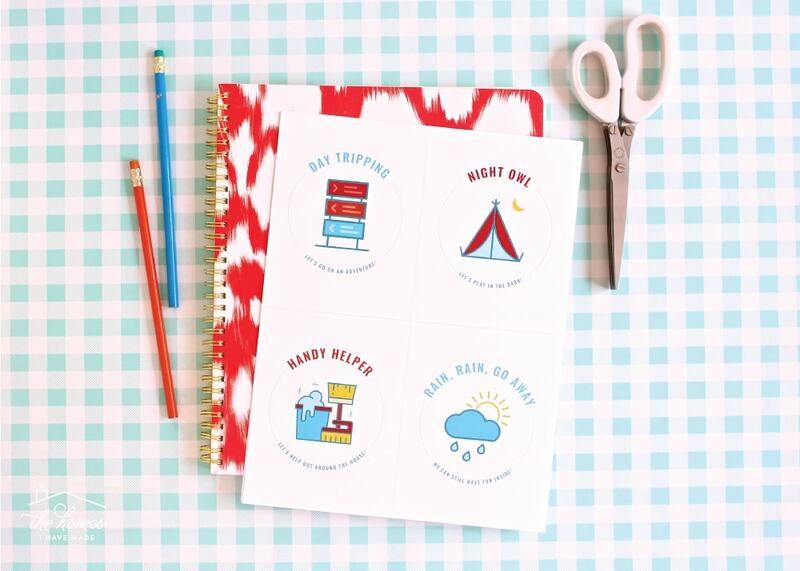 Last but not least, I included a few planning printables to help you map out your summer. I have two layouts of un-dated June, July, and August calendars (1 page layout, shown below; and 2 page layout), as well as weekly planners in 2 formats (portrait and landscape). 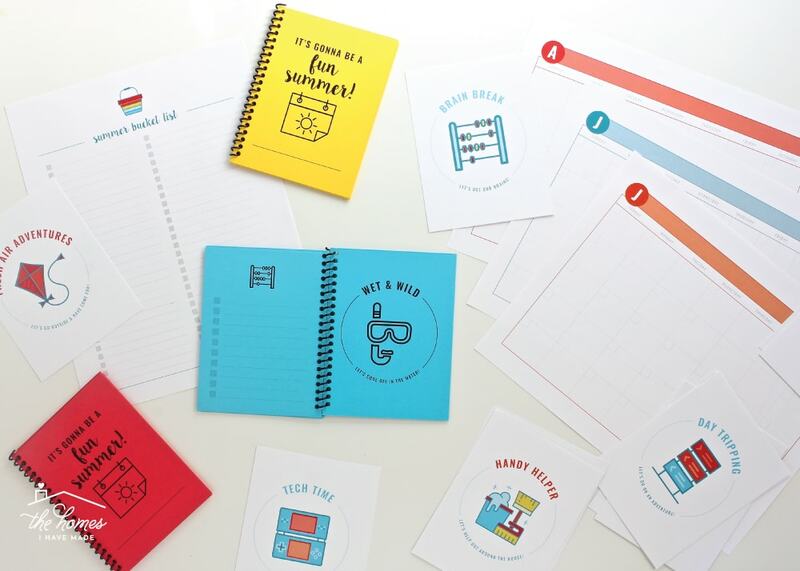 As you fill up your Summer Activity Cards or bucket list sheets, these coordinating calendars and planners will help you identify when, where and how to fit them all in! The colored pages in this kit were done in my “Fresh” color palette of red, orange, yellow and a variety of blues. 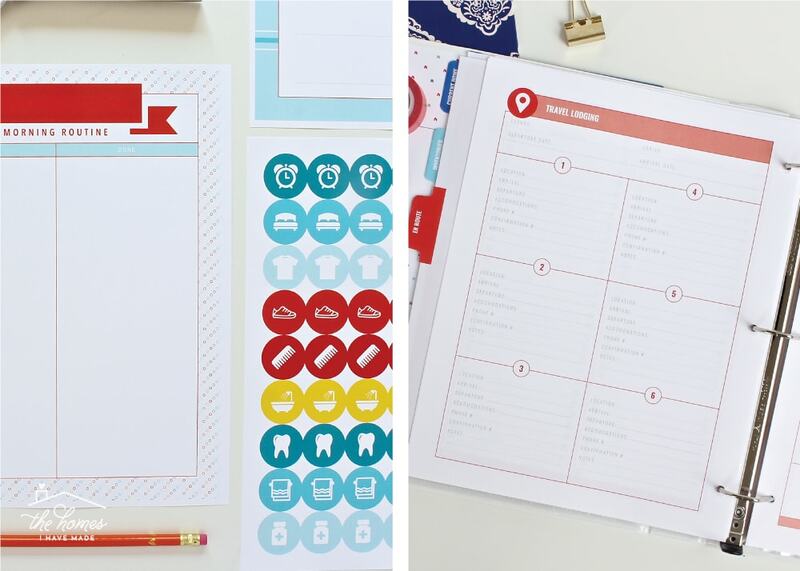 The pages coordinate PERFECTLY with my Chores Charts and Routines for Kids, as well as the travel pages included within the Smooth Move kit. 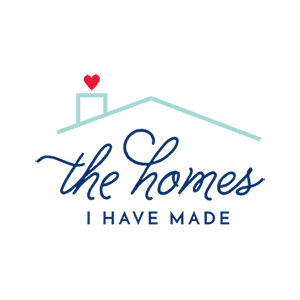 Used all together, you’ll have pretty much every printable resource you need to keep your household humming along and having fun this summer! 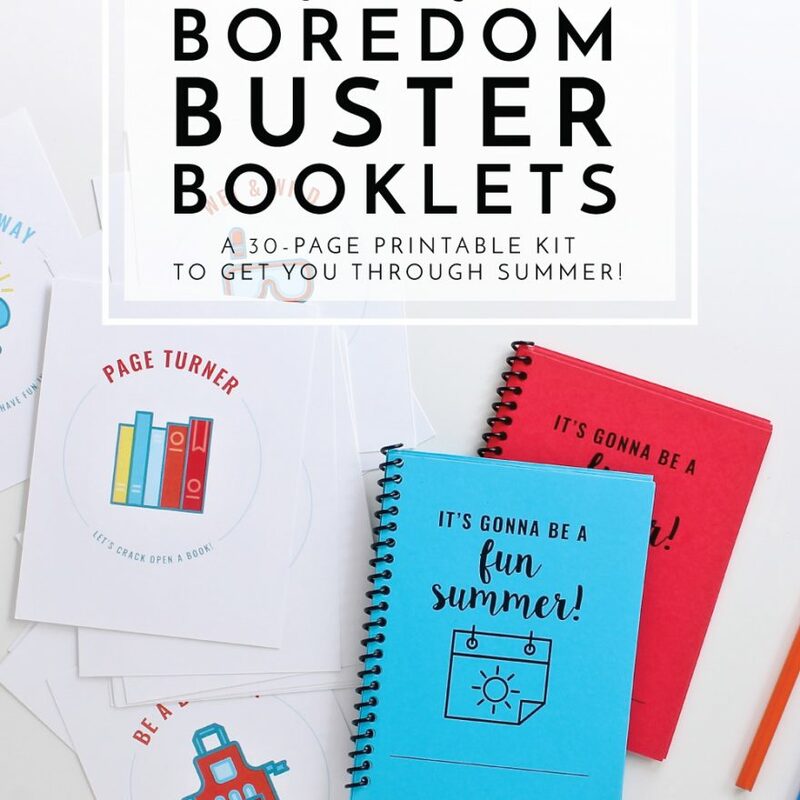 The Summer Boredom Buster Printable Kit has been uploaded to The Organization Toolbox and is available for download right now! Happy (almost) Summer, friends! We got this (right? right!)!!! Silly String Gift for Kids!